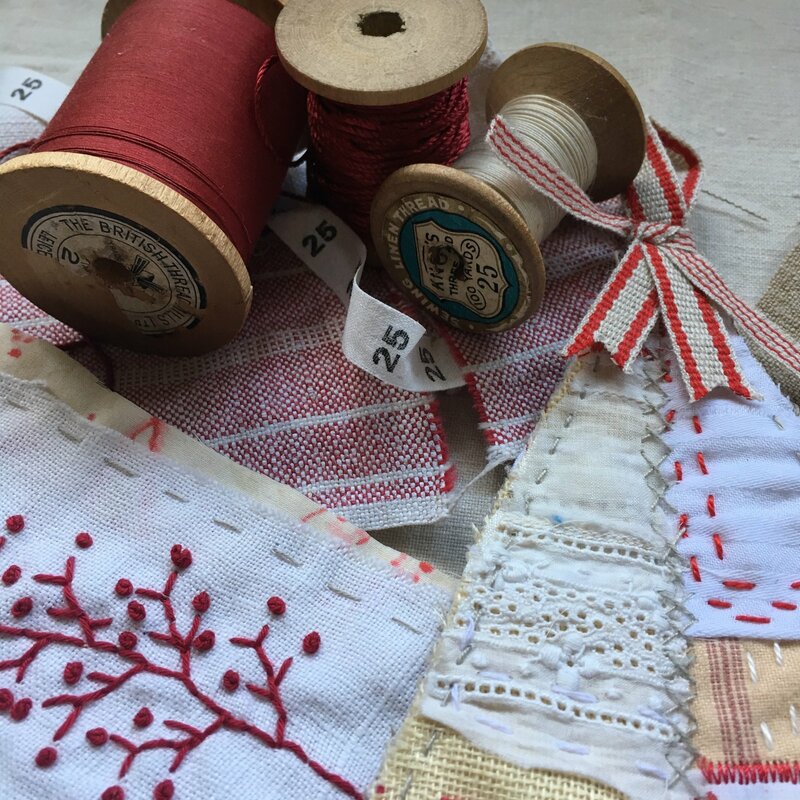 Before the chaos of Christmas sets in, spend the day with Slow Stitching Queen, Lisa Mattock as she shares her festive cure to Christmas madness with this wonderful workshop creating unique, hand stitched Christmas decorations. Whether you keep them for yourself, or gift them to others, Lisa’s Christmas themed workshop will have you creating beautiful tree decorations, soft furnishing accessories and trimmings to use around the home to get the festive season well and truly underway. Each student receives a kit hand picked by Lisa including pattern/instructions and templates + fabric pack & threads. Includes starter kit of textiles and trims. Coffee/tea and sweat treat upon arrival. Chef's selection lunch of the day. Please notify Amitie up to 1 week prior to your class of any special dietary requirements.